How to Become a Correctional Officer in California? How Long Does it Take to Become a Correctional Officer in California? How much does a Correctional Officer make in California? Correctional officers work for the California Department of Corrections and Rehabilitation (CDCR). It is one of the biggest law enforcement bodies in the country. A correctional officer’s job is considered an entry-level position, which requires rigorous training and preparation. To become a correctional officer in California, you will need to follow a series of steps. Before you begin the application process, you need to determine whether you want to work at the state, local or federal level. 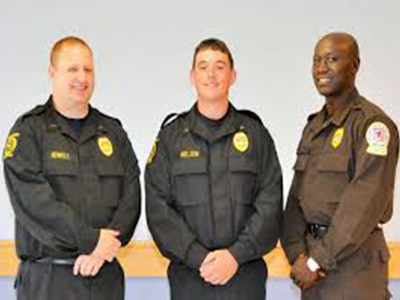 If you are interested in working at federal facilities, it will be preferable for you to get a bachelor’s degree in criminal justice or a related subject. Similarly, if you want to apply to higher ranks, a 4-year long bachelor’s degree may be needed. Once you have met all the requirements, you will need to begin the application process. You will be notified about this exam within 10 days of submitting your application. The notification will give you details such as your ID number and login instructions. The historic pass rate for this entrance exam is 87% and you will be given one hour and forty-five minutes to complete it. Preparation materials and sample tests are available on the CDCR website. This course needs to be completed within 5 minutes and 5 seconds, or less. This would be a comprehensive check about the applicant’s employment history, residence, relationships and financial records along with criminal records. You will also be required to submit your fingerprints for further processing and screening. For verification purposes, past co-workers, family members, etc. will also be contacted. You will need to have 20/20 vision in each eye. If not, you will need to provide a written certificate from an optometrist stating that your vision is correctable to 20/20 in each eye. You will need to inform the department if you use any kind of corrective lenses. This will be divided into two sections – (1) A Written Peace Officer Psychological Evaluation (POPE) and (2) Peace Officer Psychological Screening Interview. Candidates will be emailed by the Psychological Screening Program for the interview scheduling, which will be conducted by a licensed psychologist. Make sure you check your email on a daily basis, including the “spam” or “junk” folders. The Pre-Employment Medical Examination (PEM) will be a comprehensive test administered by a licensed physician. This test cannot be rescheduled, and candidates who fail to appear for it, will be disqualified from the application process. Once you have completed all these steps, you will be placed on a certification list, from where you will be appointed as a Correctional Officer when the need arises. The application and hiring process to become a correctional officer in California may take 12 to 18 months. Once your application has been received, you will be notified within 10 days of your exam date. Candidates who pass this exam successfully will have a physical fitness test scheduled for the following month. The background check that follows takes approximately 90 days to complete, and may take longer in certain cases. O*NET OnLine lists the salaries of Correctional Officers and Jailers as $75,480 annually in the state of California. The national median salary for correctional officers is $43,540. Even though the percentage change in employment due to growth and net replacement is low, the higher salary offering makes the job of a correctional officer in California a very attractive prospect.